October 2017: Personal Planning Month: Getting your affairs in order gives you peace of mind and takes the burden off family and friends. It’s easy when you know the steps to take. Attend a free presentation, find out about Nidus’ free forms to make your own Representation Agreement. Nidus is an independent, non-profit, charitable organization that was set up by seniors and disability groups. Nidus is the Centre for Excellence on Representation Agreements and personal planning. Provincial Interactive Webinars with Q&A: Public libraries across BC are hosting Nidus presentations. Locations include: Castlegar, Duncan, Okanagan (Enderby, Armstrong, Salmon Arm, Vernon, Summerland), Kamloops, Kelowna, Nanaimo, Trail, Thompson-Nicola, Victoria, Prince Rupert, Williams Lake. Metro-Vancouver in-person presentations: With the generous support of local seniors centres, neighbourhood houses and public libraries, Nidus-trained volunteers and staff are able to offer some in-person presentations in the Metro-Van area. Webinars for Professionals: Professionals need information and resources geared to their workplace role. Nidus is offering presentations for the following settings. Interested professionals should email info@nidus.ca for details. Thursday, October 5 (10 – 11 AM): West Coast LEAF and Canadian Centre for Elder Law present Engaging Older Women in Your Community (Webinar). 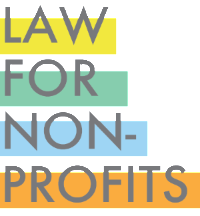 Wednesday, October 11 (9:30 AM – 12:00 PM): Law for Non Profits presents the New Societies Act: What You Need to Know, in Vancouver. The Fee is $50, but if you are a registered non-profit society delivering community social services within the geographical boundaries of the City of Vancouver, you may be eligible to receive a bursary to assist you with all or part of the workshop registration fee. See registration link for details. Wednesday, October 18 (5:30-8:30 PM): PovNet 20th Anniversary Celebration at the Radisson Hotel Vancouver Airport in Richmond. 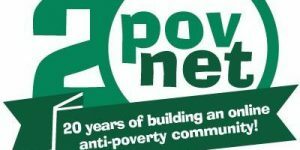 This year, PovNet celebrates twenty years of building an online community of advocates, social justice lawyers and other passionate front-line workers and supporters who are committed to supporting those living in poverty, while battling the systemic issues that drive people there. We would be so happy if you could join us to celebrate this milestone. We would also like to invite you to help spread the word about this event. We are so excited to be celebrating the work of PovNetters from all over BC and indeed right across Canada. The celebration will be held at the Radisson Hotel Vancouver Airport, and will start with a short Annual General Meeting, followed by a few speakers and stories. We will have finger food and refreshments and there will be a cash bar. The location is within 1 block of the Aberdeen Canadaline station. We look forward to sharing this evening with you! 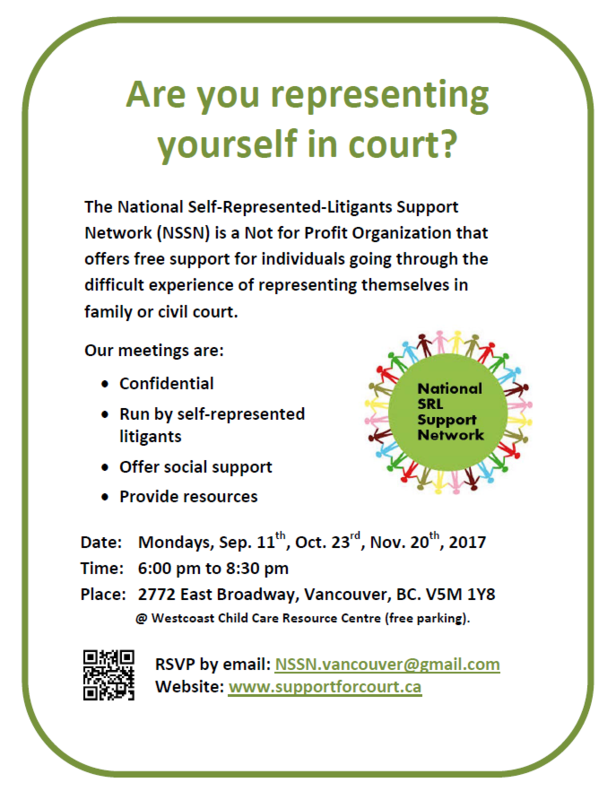 Monday, October 23 (6-8 PM): NSSN SRL Support Group Meeting at 2772 East Broadway, Vancouver. 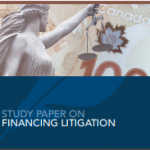 Tuesday, October 24 (12:30-1:30 PM): Litigating for Access: Suing the Government Over the Crisis in Legal Aid at Room 122, Allard Hall, 1822 East Mall, UBC, Vancouver. Part of the Centre for Feminist Legal Studies’ Fall 2017 lecture series. 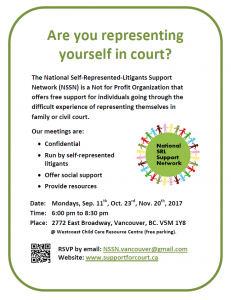 Featuring West Coast LEAF’s Executive Director Kasari Govender and Litigation Director Raji Mangat. Thursday, October 26 (3:30-6:30 PM): Working CLAS Blues Fundraiser at The Pint Vancouver – 455 Abbott Street. Get your tickets now and spend an evening with your friends from CLAS and other familiar faces from the social justice community. Tickets are $20, plus service fee, online and $25 at the door. Space is limited so buy early. A full dinner menu will be available so stay for a drink or two and maybe even dinner. Either way, we want you to join us for a fun night. 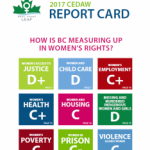 Thanks for supporting our organization as we work towards advancing dignity, equality and justice for all across BC. Tickets can be purchased here. Please direct any questions about the event to Dianne Bankay at dbankay@clasbc.net.